Carnival Cruise Line offers fun and affordable cruises to the Bahamas and the Caribbean from Port Canaveral, Florida. Their ships make voyages of 3 to 14 nights. Make a quick getaway or take a week-long vacation cruise -- they all have that lively Carnival Cruises spirit. 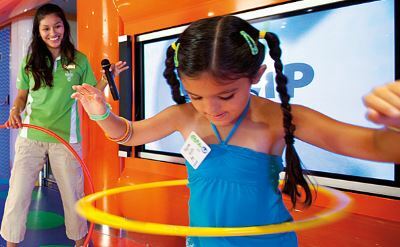 The ships have family-friendly features from Camp Carnival youth programs to waterslides. 3-day Bahamas cruises on Carnival Liberty. Round-trip from Port Canaveral to Nassau (Bahamas). • 2020 departures: January 3, 10, 17, 24, 31; February 7, 14, 21, 28; March 6, 13, 20, 27; April 3, 10, 17, 24; May 1, 8, 15, 21, 29; June 5, 12, 19, 26; July 3, 10, 17, 24, 31; August 7, 14, 21, 28; September 4, 11, 18, 25; October 2, 9, 16, 23, 30; November 6, 13, 20, 27; December 4, 11, 18, 21, 28. 4-day Bahamas cruises on Carnival Liberty. Round-trip from Port Canaveral to Freeport (Bahamas) and Nassau (Bahamas). • 2019 departures: April 7, 21; May 6, 20; June 3, 17; July 1, 15, 29; August 12, 26; September 9, 23; October 7, 21; November 4, 18; December 2, 16, 30. • 2020 departures: January 13, 27; February 10, 24; March 9, 23; April 6, 20; October 26; November 2, 16, 23, 30; December 24. 4-day Bahamas cruises on Carnival Liberty. Round-trip from Port Canaveral to Princess Cays (Bahamas) and Nassau (Bahamas). • 2020 departures: January 6; February 17; March 16, 30; April 13, 27; May 11, 25; June 8; July 6, 20; August 3, 10, 17, 31; September 7, 28; October 5. 4-day Bahamas cruises on Carnival Liberty. Round-trip from Port Canaveral to Half Moon Cay (Bahamas) and Nassau (Bahamas). • 2019 departures: November 25; December 9, 23. • 2020 departures: January 20; February 3, 17; March 2; May 4, 18; June 1, 15, 22, 29; July 13, 27; August 24; September 14, 21; October 12, 19; November 9; December 7, 14. 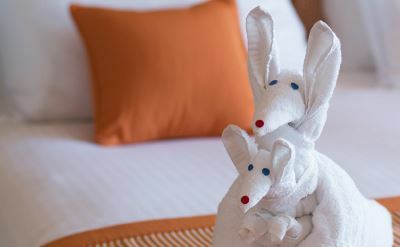 4-day Bahamas cruises on Carnival Elation. Round-trip from Port Canaveral to Freeport (Bahamas) and Nassau (Bahamas). • 2019 departures: June 6, 20; July 4, 18; August 1, 15, 29; September 12, 26; October 10, 24; November 7, 21; December 19. • 2020 departures: January 2, 16, 30; February 13, 27; March 12, 26; April 9, 23; November 19. 4-day Bahamas cruises on Carnival Elation. Round-trip from Port Canaveral to Princess Cays (Bahamas) and Nassau (Bahamas). • 2020 departures: May 7, 21; June 4, 18; July 2, July 16, 30; August 13, 27; September 10, 24; October 8, 22; November 5; December 3, 17, 31. 7-day cruise to Bermuda on Carnival Breeze. Round-trip to Royal Naval Dockyard (Bermuda) and Grand Turk (Turks & Caicos). Overnight stay in Bermuda. • 2019 departures: September 7, 14, 21. 6-day cruise to Cuba on Carnival Radiance. Round-trip to Freeport (Bahamas), Nassau (Bahamas) and Havana (Cuba). Overnight stay at Havana. • 2020 departures: November 15, December 13. 5-day Eastern Caribbean cruises on the Carnival Sunshine. Round-trip from Port Canaveral to Amber Cove (Dominican Republic) and Grand Turk (Turks & Caicos). • 2019 departures: April 14; May 12. 5-day Eastern Caribbean cruises on the Carnival Elation. Round-trip from Port Canaveral to Amber Cove (Dominican Republic) and Grand Turk (Turks & Caicos). • 2019 departures: May 18, 27; June 1, 10, 15, 24, 29; July 8, 13, 22, 27; August 5, 19, 24; September 2, 7, 16, 21, 30; October 5, 14, 19, 28; November 2, 11, 16, 25, 30; December 9, 14, 23, 28. • 2020 departures: January 6, 11, 20, 25; February 3, 8, 17, 22; March 2, 7, 16, 21, 30; April 4, 13, 18, 27; May 11, 25; June 8, 22; July 6, 20; August 3, 17, 31; September 14, 28; October 12, 26, 31; November 9, 14, 23, 28; December 7, 12, 21, 26. 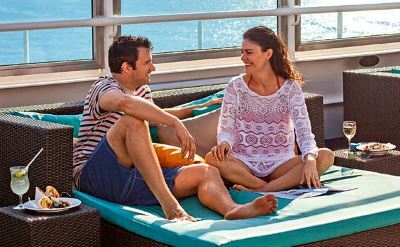 5-day Eastern Caribbean cruises on the Carnival Elation. Round-trip from Port Canaveral to Nassau (Bahamas), Princess Cays (Bahamas) and Grand Turk (Turks & Caicos). • 2020 departures: May 2, 16, 30; June 13, 27; July 11, 25; August 8; September 5, 19; October 3, 17. 6-day Eastern Caribbean cruises on the Carnival Radiance. Round-trip from Port Canaveral to Nassau (Bahamas), Amber Cove (Dominican Republic) and Grand Turk (Turks & Caicos). • 2020 departures: November 29, December 27. 7-day Eastern Caribbean cruises on Carnival Breeze. Round-trip from Port Canaveral to Amber Cove (Dominican Republic), St Thomas (US Virgin Islands), San Juan (Puerto Rico) and Grand Turk (Turks & Caicos). • 2020 departures: January 4; February 1, 8, 15, 29; March 7, 21, 28; April 4, 18, 25; May 9, 16, 23; June 6, 13, 27; July 4, 11, 25; August 1, 15, 22, 29; September 12, 19. 7-day Eastern Caribbean cruises on Carnival Mardi Gras. Round-trip from Port Canaveral to San Juan (Puerto Rico), Amber Cove (Dominican Republic) and Grand Turk (Turks & Caicos). • 2020 departures: October 24; November 7, 21; December 5, 19. 8-day Eastern Caribbean cruises on the Carnival Sunshine. Roundtrip from Port Canaveral to St Maarten, St Kitts, Puerto Rico, and Grand Turk. 8-day Eastern Caribbean cruises on the Carnival Radiance. Round-trip from Port Canaveral to St Maarten, St Kitts, Puerto Rico and Grand Turk. • 2020 departures: November 21, December 19. 8-day Eastern Caribbean cruise on the Carnival Mardi Gras. Round-trip from Port Canaveral to Grand Turk, Amber Cove, Puerto Rico and St Thomas. • 2020 departure: October 16. 7-day Western Caribbean cruises on Carnival Breeze. Round-trip from Port Canaveral to Cozumel (Mexico), Belize, Mahogany Bay (Isla Roatan) and Costa Maya (Mexico). • 2019 departures: April 6, 27; May 25; June 15; July 13; August 3, 31; October 19; November 23; December 21. • 2020 departures: January 25; February 22; March 14; April 11; May 2, 30; June 20; July 18; August 8; September 5, 26. 7-day Western Caribbean cruises on Carnival Radiance. Round-trip from Port Canaveral to Cozumel (Mexico), Belize, Mahogany Bay (Isla Roatan) and Costa Maya (Mexico). • 2020 departures: November 8. 7-day Western Caribbean cruises on Carnival Mardi Gras. Round-trip from Port Canaveral to Cozumel (Mexico), Costa Maya (Mexico) and Mahogany Bay (Honduras). • 2020 departures: October 31; Novembeer 14, 28; December 12, 26. 8-day Southern Caribbean cruises on the Carnival Sunshine. Roundtrip from Port Canaveral to Aruba, Curacao and Amber Cove (Dominican Republic). 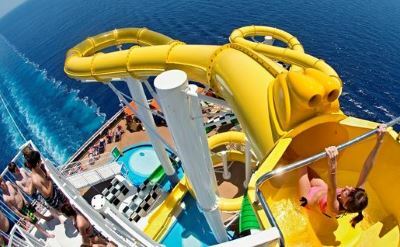 8-day Southern Caribbean cruise on the Carnival Radiance. Round-trip from Port Canaveral to Aruba, Bonaire and Grand Turk (Turks & Caicos). 14-day Southern Caribbean cruise on Carnival Breeze. Round-trip from Port Canaveral to St Croix, Aruba, Curacao, Barbados, St Lucia, St Kitts, Puerto Rico and Amber Cove (Dominican Republic). • 2019 departure: November 2. 14-day Southern Caribbean cruise on Carnival Breeze. Round-trip from Port Canaveral to St Croix, Antigua, Martinique, Grenada, Barbados, St Kitts, St Maarten and Puerto Rico.